DO NOT Neuter or spay your Rottweiler or any large breed dog early! 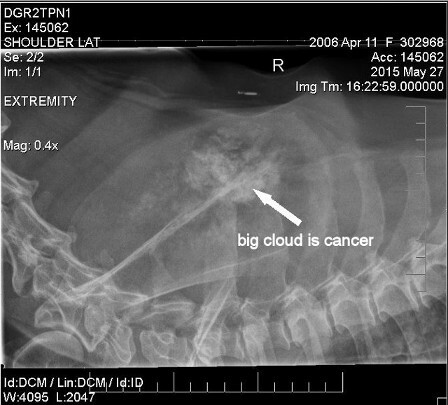 The picture below are examples of bone cancer in a German Shepherd. 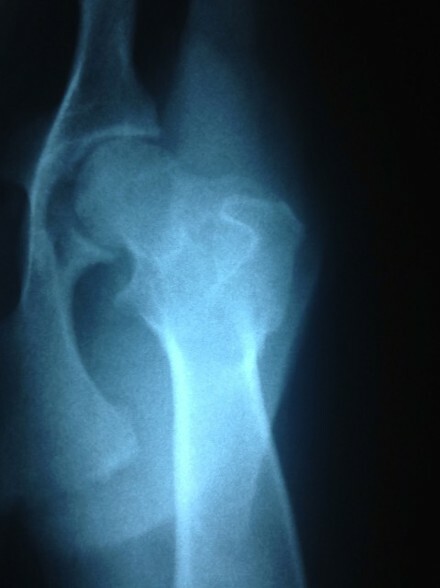 3 of the 4 joints have visible bone cancer seen in the pictures. 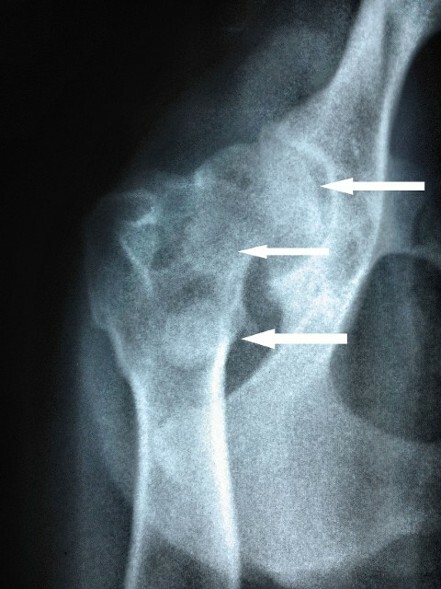 The arrows are some areas with bone cancer forming. 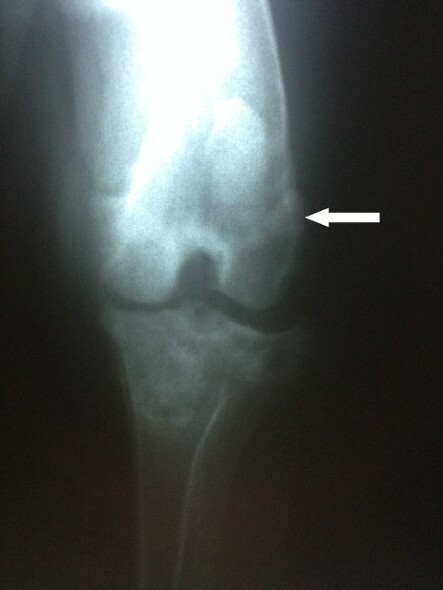 You can also see black hole like spots which means the cancer is also in the center of the leg. The upper left photo of the pelvis also shows bone cancer is inbetween the joint and socket. This dog was in sever pain and started having rear failure. the leg started giving out and he was dragging it behind. We do not own German Shepherds but a vet here in Nashville allowed us to use these photos as a example. Approximately 85% of bone tumors in dogs are osteosarcomas (cancer bone destruction and distant metastasis) and spread to other organs. 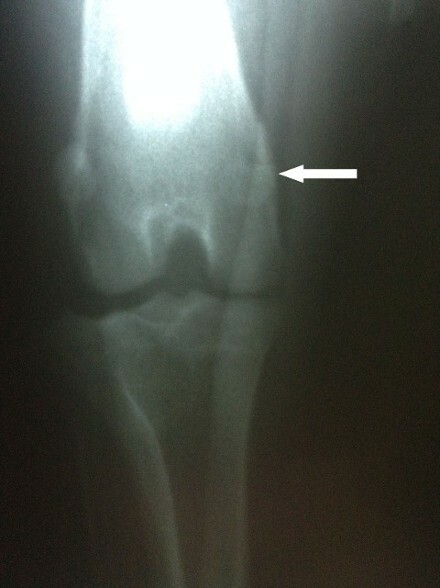 Osteosarcoma commonly affects the parts of the skeleton (skull, ribs, vertebrae, and pelviosteo (bone, sarcoma). 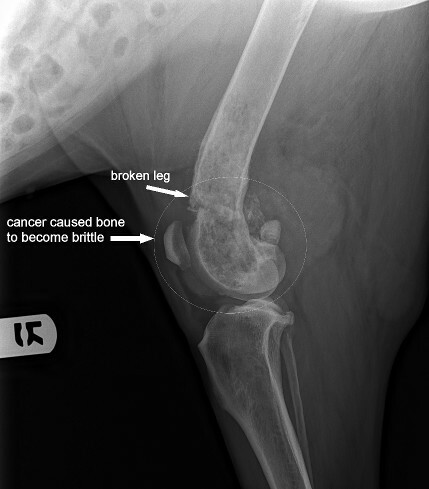 Osteosarcomas are highly aggressive tumors, characterized by painful local limbs of large or giant breed dogs, but can also occur in other parts of the skeleton. A study of 683 Rottweilers published in 2002, was established the risk for bone sarcoma was significantly influenced by the age at which the dogs were sterilized. Both male Rottweilers and female Rottweilers spayed or neutered before one year of age, there was a one in four lifetime risk for bone cancer. This meand 1 Rottweiler out of every 4 got bone cancer. Another study conducted on 3,062 German Shepherds, a large breed dog, was using the Veterinary Medical Database for the period 1980 through 1994. New treatment revealed for Chronic pain in dogs with bone cancer. Read about the research study. Material provided by the American Society of Anesthesiologists (ASA).